Update: .page is now open for general registration! Find participating registrar partners at get.page. 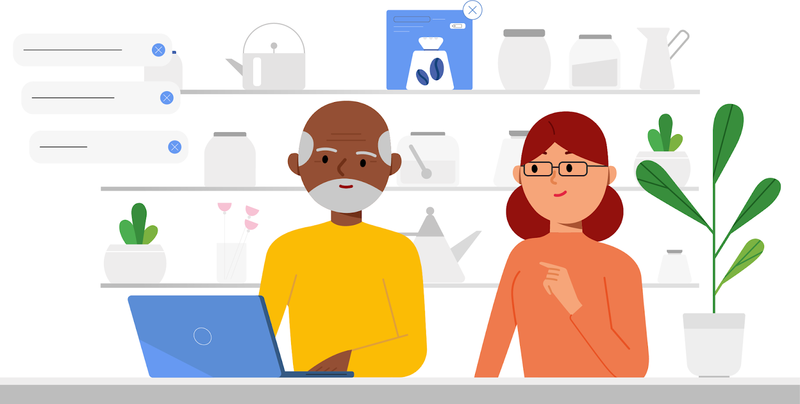 Today we're announcing .page, the newest top-level domain (TLD) from Google Registry. A TLD is the last part of a domain name, like .com in "google.com" or .google in "blog.google". The .page TLD is a new opportunity for anyone to build an online presence. Whether you're writing a blog, getting your business online, or promoting your latest project, .page makes it simple and more secure to get the word out about the unique things you do. Ellen.Page is the website of Academy Award®-nominated actress and producer Ellen Page that will spotlight LGBTQ culture and social causes. Home.Page is a project by the digital media artist Aaron Koblin, who is creating a living collection of hand-drawn houses from people across the world. Enjoy free art daily and help bring real people home by supporting revolving bail. ChristophNiemann.Page is the virtual exhibition space of illustrator, graphic designer, and author Christoph Niemann. Web.Page is a collaboration between a group of designers and developers who will offer a monthly online magazine with design techniques, strategies, and inspiration. CareerXO.Page by Geek Girl Careers is a personality assessment designed to help women find tech careers they love. TurnThe.Page by Insurance Lounge offers advice about the transition from career to retirement. WordAsImage.Page is a project by designer Ji Lee that explores the visualizations of words through typography. Membrane.Page by Synder Filtration is an educational website about spiral-wound nanofiltration, ultrafiltration, and microfiltration membrane elements and systems. TV.Page is a SaaS company that provides shoppable video technology for e-commerce, social media, and retail stores. Navlekha.Page was created by Navlekhā, a Google initiative that helps Indian publishers get their content online with free authoring tools, guidance, and a .page domain for the first 3 years. Since the initiative debuted at Google for India, publishers are creating articles within minutes. And Navlekhā plans to bring 135,000 publishers online over the next 5 years. Security is a top priority for Google Registry's domains. To help keep your information safe, all .page websites require an SSL certificate, which helps keep connections to your domain secure and helps protect against things like ad malware and tracking injections. Both .page and .app, which we launched in May, will help move the web to an HTTPS-everywhere future. .page domains are available now through the Early Access Program. For an extra fee, you'll have the chance to get the perfect .page domain name from participating registrar partners before standard registrations become available on October 9th. For more details about registering your domain, check out get.page. We're looking forward to seeing what you'll build on .page!